TSM’s Andy “Reginald” Dinh is Forbes’ featured honoree. Forbes’ “30 Under 30” lists curate an industry standard, showcasing the most important young professionals in a particular industry. The games industry is no different—this year, Forbes named 30 games industry professionals “leading a technological and artistic revolution” in video games, and more than a third of them are involved in esports. And that makes sense—esports is growing exponentially each year, with research firm Newzoo estimating it to be a billion dollar industry in 2019, Forbes reported. For Forbes, it’s Andy “Reginald” Dinh who represents that growth. Dinh started TSM using revenue from his League of Legends website; now, he runs an esports empire. 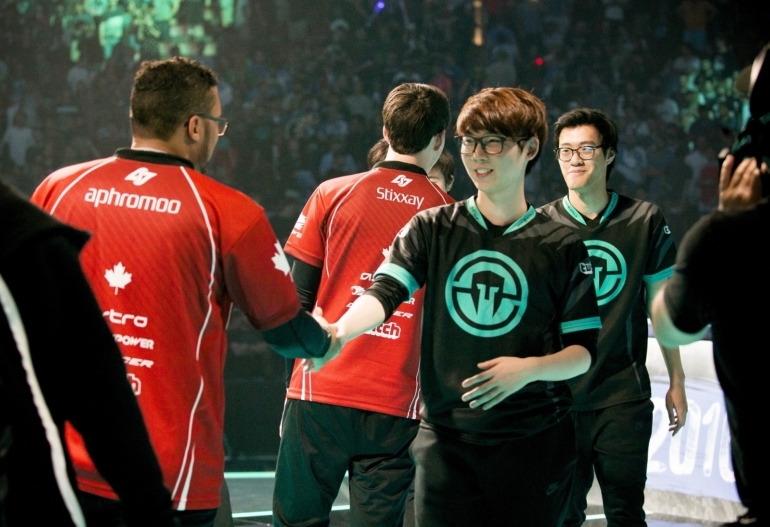 There’s no shortage of passion in esports, as Forbes’ list demonstrates. Two fellow team owners follow Dinh on the list—Immortals CEO Noah Whinston and Tempo Storm founder and Heartstone professional Andrey “Reynad” Yanyuk. Counter Logic Gaming’s League of Legends captain Zaqueri “Aphromoo” Black, Team Liquid’s Super Smash Bros. Melee player Juan “Hungrybox” DeBiedma, and SK Gaming’s Counter-Strike: Global Offensive captain Gabriel “FalleN” Toledo earned spots on the list for their prolific professional gaming careers, too. Commentators and hosts are recognized by Forbes as well, including Counter-Strike caster Auguste “Semmler” Massonnat and esports host Rachel “Seltzer” Quirico. While Massonnat and Quirico operate as the face of esports, Forbes acknowledged the folks behind the scenes in the industry, too, like Jenny Qian, Twitch’s director of business operations, whose influence is a large part of the streaming service’s continued success. Josh Watson, the esports operations manager at Rocket League developer Psyonix, helped push the title into the forefront of competitive gaming while organizing the wildly successful Rocket League Championship Series International Finals in August. Rounding out the list of esports professionals are Tomber Su and Matt Salsamendi. Su is the managing director for High School Starleague, which focuses on bringing esports to high school audiences and introduces competitive gaming as a viable extracurricular. So far, High School Starleague’s tournaments have awarded students with more than $95,000 in scholarship money. Salsamendi earned his spot for creating Beam—a Twitch rival—to integrate viewer participation into livestreaming. Beam allows viewers to create in-game objectives for streamers to reach, and was bought out by Microsoft in 2016. Forbes “30 Under 30” list lays out the groundwork for the year to come in gaming, and its emphasis on esports demonstrates the potential for the industry in 2017.